What we have here are two unscored New York Knicks basketball programs from the 1950's. The first has the Knicks vs. the Phil. Warriors and the Minneapolis Lakers at Fort Wayne dated November 30, 1954. 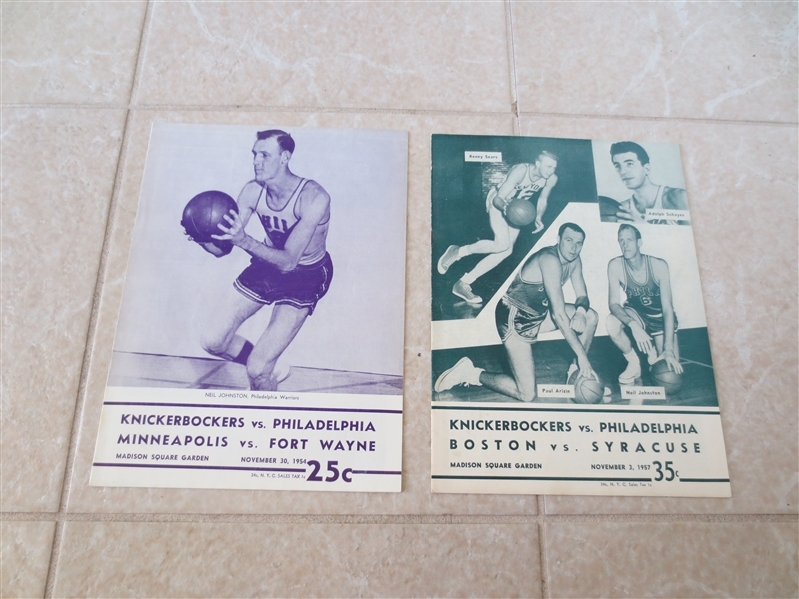 The second has the Warriors at the Knicks and the Boston Celtics vs. Syracuse dated November 3, 1957.